The first consensuses defined sepsis as a series of physiological and serological alterations that indicated a progressive organic insufficiency. The systemic inflammatory response syndrome (SIRS) indicated the inflammatory response, potentially harmful. Sepsis is defined as SIRS with infection, severe sepsis and sepsis with organ dysfunction and septic shock and sepsis with persistent hypotension. These definitions, with minor corrections, guided medical practice and research on the subject for 25 years. While these definitions provided essential knowledge about sepsis, the experience revealed its limitations. SIRS was recognized as a nonspecific marker of inflammation, both infectious and noninfectious, that did not significantly predict clinical outcomes. The essential characteristic that differentiates between infection and sepsis is the organic dysfunction produced by the inflammatory response. Organic dysfunction can be defined as an acute and infection-related change of at least 2 criteria of the sequential evaluation of organ failure (Respiratory rate ≥22 breaths per minute, Alteration of mental function or Systolic pressure ≤100 mm Hg), which is associated with approximately 10% mortality. Sepsis is associated with up to 50% Acute Renal Damage (ARD) and up to 60% of patients with sepsis have ARD. Although the pathophysiological mechanism still not fully understood, it is clear that the inflammatory cascade harmful feature also contributes to sepsis ARD. Patients with sepsis complicated by ARD have a significant increase in mortality in relation to patients without ARD. Likewise, patients with ARD associated with sepsis (ARD-AS) have a significant increase in mortality in relation to those with ARD of other etiology. Accurate estimation of the incidence of ARD is difficult. Characterizing ARD strictly as attributable to sepsis remains difficult due to the numerous confounding factors common in patients with serious illness. The incidence of sepsis and related morbidity seem to be increasing, while the mortality rate of patients with sepsis seems to be decreasing. 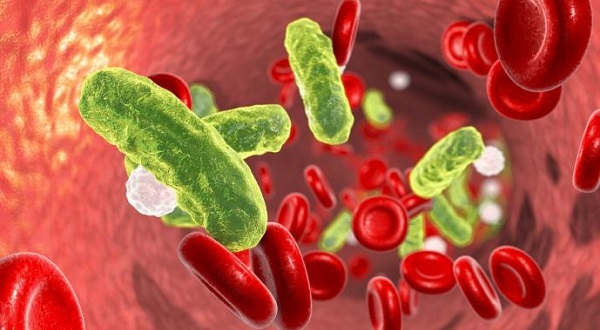 Risk factors for ARD and prognostic factors identified in the general population probably confer an equal or even greater risk to patients with sepsis. The premorbid risk factors for ARD identified are advanced age, chronic nephropathy and cardiovascular diseases. The characteristics associated with the acute disease that are most frequently associated with ARD are cardiovascular insufficiency, hepatic insufficiency and sepsis. Finally, observational data suggest that ARD may predispose patients to an increased risk of sepsis. The early detection of ARD is essential for a successful intervention. The ARD is still a diagnosis based on the increase in blood creatinine or the decrease in diuresis. Although useful, these measurements have limitations that underscore the need for newer methods to detect ARD and ARD-AS. Urinalysis and urine microscopy can help identify the ARD-AS. Three observational studies evaluated a urinary Sediment specifically in a cohort with ARD-AS. In this cohort, they found more epithelial cells and tubular cylinders than in non-septic ARD. In a prospective study of 83 patients, 43 of them with ARD-AS, the urinalysis score> 3 was a prognosis of severe ARD and closely related to the biomarkers of tubular damage. In a single-center observational study of 423 patients with sepsis, it was observed that recent albuminuria was associated with a probability ratio of 1.87 for the development of ARD-AS. Several plasma markers that are inversely related to glomerular filtration (GFR) may be useful for detecting AKI in patients with sepsis. Proenkephalin and cystatin C are highly associated with ARD and GFR and increase before creatinine in severe patients with sepsis. This article was published on Monday 08 April, 2019.